We often hear organizations convincing themselves that they couldn’t possibly get the data needed to do comprehensive Service Portfolio Management. The truth is that every organization has the data they need to start their journey to maturity. 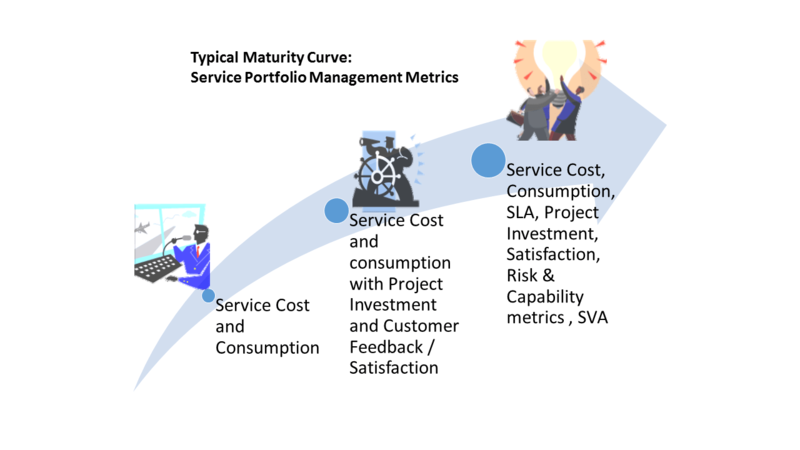 Many companies start with a basic cost/consumption dashboard and then grow that as they mature the internal data sources that provide metrics on project investment, SLA performance, risk and SVA (Service Value Agreements) performance. Starting the journey is the first step toward maturity- contact us for more information on how to get started today.